Currently exhibiting at Duncan of Jordanstone College of Art and Design in Dundee, Cut and Paste is a collection of works by three students from the college. Their work highlights the affects of technology and how it is impacting upon our modern lives. 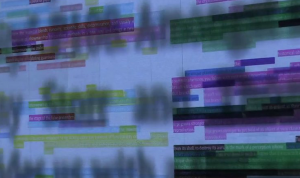 Their pieces also question the materiality of information today and how we get it.